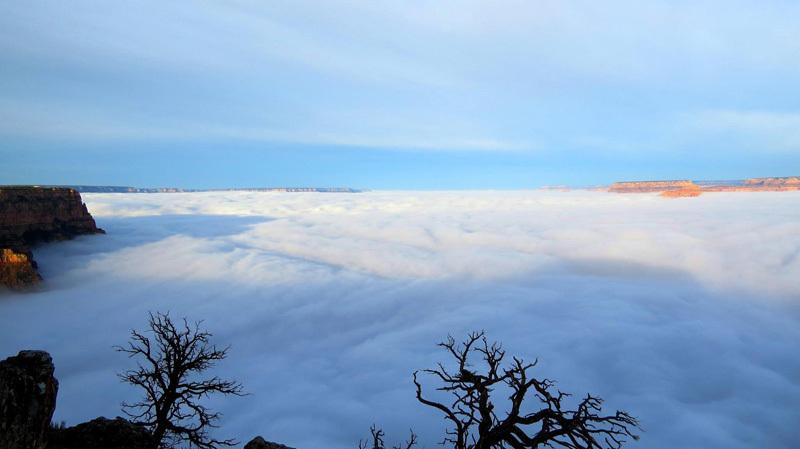 For the second year in a row, a rare phenomenon called a ‘temperature inversion’ filled the Grand Canyon with clouds. The weather occurrence is said to only happen roughly once every 10 years, yet it has happened twice in the span of a year; first occurring on 29 November 2013 and again on 11 December 2014. A “temperature/cloud inversion” occurs when warm air acts as a lid to seal cool air near the ground, trapping fog in the canyon and preventing it from rising. According to the National Weather Service, the atmosphere’s temperature profile is most prone to inversion during the winter, when long nights allow for air near the Earth’s surface to become unusually cold. Also assisting is the Canyon’s natural topographical features, enhancing the effects of the inversion. 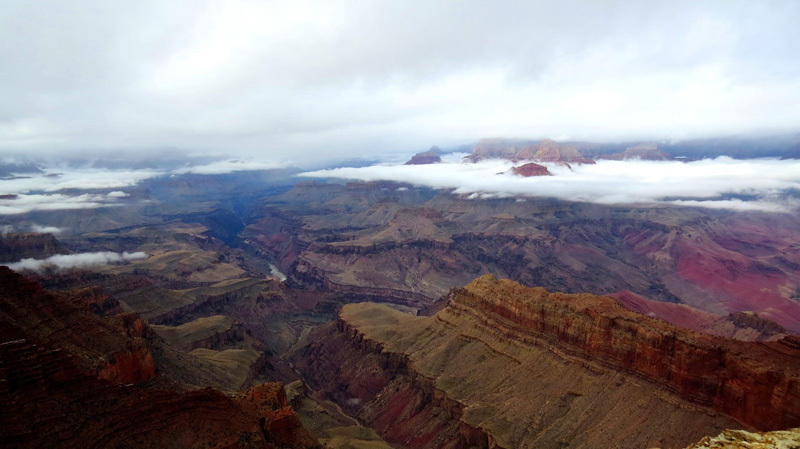 Below you will find a series of photos from Lipan point on 3 December 2014, a partial inversion a week before the full inversion above.